Pump everything in me. Merry Chrimmas! 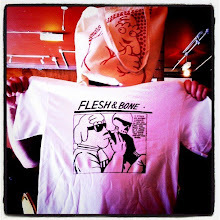 Flesh & Bone be back in 2012, here ends the advent of one per-day. Back on track normalcy come next year. Currently listening to (in my head) : Kanye West "Monster"